Electrophoresis is the migration of electrically charged molecules through a fluid or gel under the influence of an electric field. Electrophoresis is used especially to separate combinations of compounds, such as fragments of DNA, for the purpose of studying their components. To perform Clinical Electrophoresis, Trivitron provides Manual Gel Electrophoresis Systems, Automated Gel Electrophoresis Systems and Walkaway Capillary Electrophoresis Systems for the separation of different types of Protein & Hemoglobin from various types of samples like Serum, Blood, and Urine & CSF. It is an analytical method frequently used in molecular biology and medicine. It is applied for the separation and characterization of proteins, nucleic acids and subcellular-sized particles like viruses and small organelles. Its principle is that the charged particles of a sample migrate in an applied electrical field. 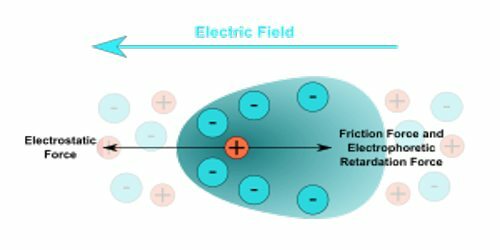 Electrophoresis of positively charged particles (cations) is called cataphoresis, while electrophoresis of negatively charged particles (anions) is called anaphoresis. 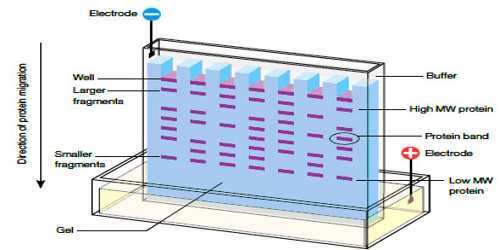 Electrophoresis is a technique used in laboratories in order to separate macromolecules based on size. Some of the frequently used support­ing media are starch, agar, polyacrylamide and agarose. Depending upon the presence or ab­sence of supporting media the electrophoresis can be classified as free electrophoresis and zone electrophoresis. Free Electrophoresis: In this type of electrophoresis a free electro­lyte is taken in place of supporting media. Nowadays this type of electrophoresis has be­come out-dated and mostly used in non-biological experiments. Zone Electrophoresis: This is the most prevalent electrophoretic tech­nique of these days. 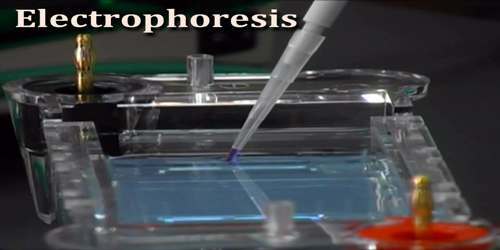 In this type of electro­phoresis the separation process is carried out on a stabilizing media. Paper Electrophoresis: In this type of electrophoresis a filter paper having slight adsorption capacity and uniform pore size is used as the supporting medium for separation of samples under the influence of an applied electric field. While carrying out paper elec­trophoresis, a strip of filter paper is moistened with buffer and ends of the strip are immersed into buffer reservoirs containing the electrodes. Cellulose Acetate Electrophoresis: It is a modified version of paper electrophore­sis developed by Kohn in 1958. In this type of electrophoresis bacteriological acetate mem­brane filters are taken in place of regular chro­matography paper. Capillary Electrophoresis: Capillarity of narrow bore tube is employed to separate the samples based on their size: charge ratio. Capillary electrophoresis (CE) is relatively new separation technique compared to the traditional techniques such as agarose gel electrophoresis or SDS-PAGE. Protein electrophoresis is often performed in the presence of a charged detergent like sodium dodecyl sulfate (SDS) which usually equalizes the surface charge and, therefore, allows for the determination of protein sizes on a single gel. Additives are not necessary for nucleic acids which have a similar surface charge irrespective of their size. It can be used to separate proteins by size, density and purity. 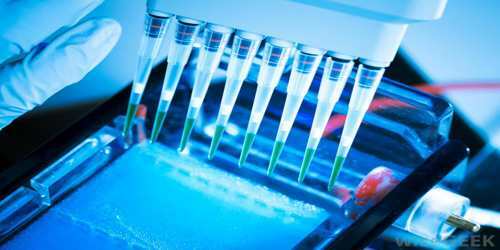 It can also be used for plasmid analysis, which develops our understanding of bacteria becoming resistant to antibiotics.